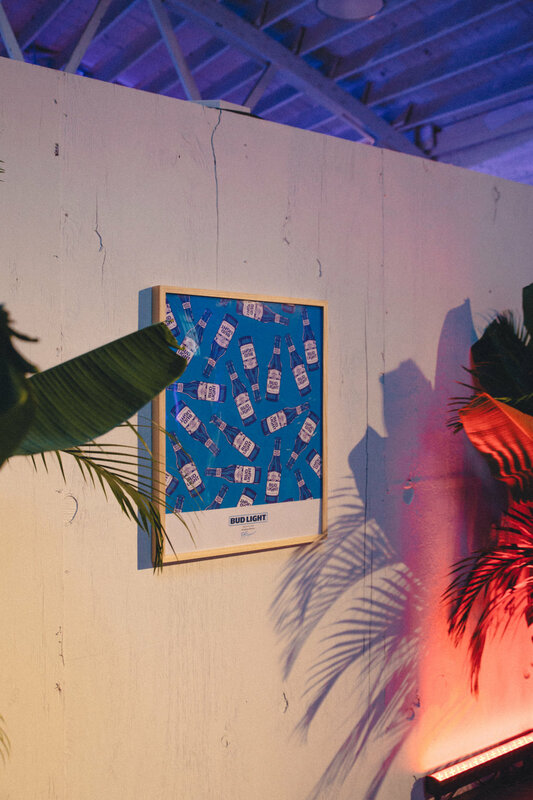 Our Chicago was a 1 day art show hosted by Bud Light which focused on Bud Light's Chicago Summer Pack and the artist, Brandon Breaux' body of work created specifically for the event. 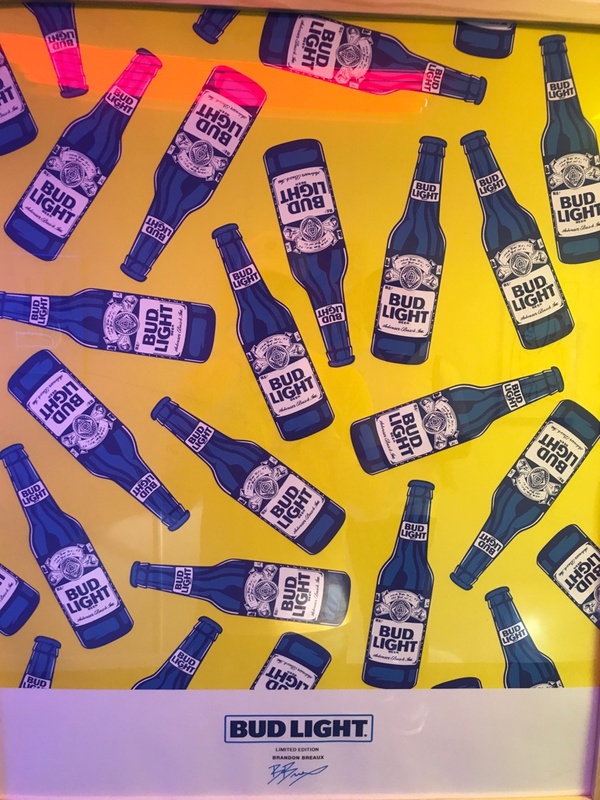 In Chicago the neon sign serves as our beacon to the threshold of shared experience. In order to grab beers with with friends you have to start by crossing the neon’s path on your way to the beer store or bar. 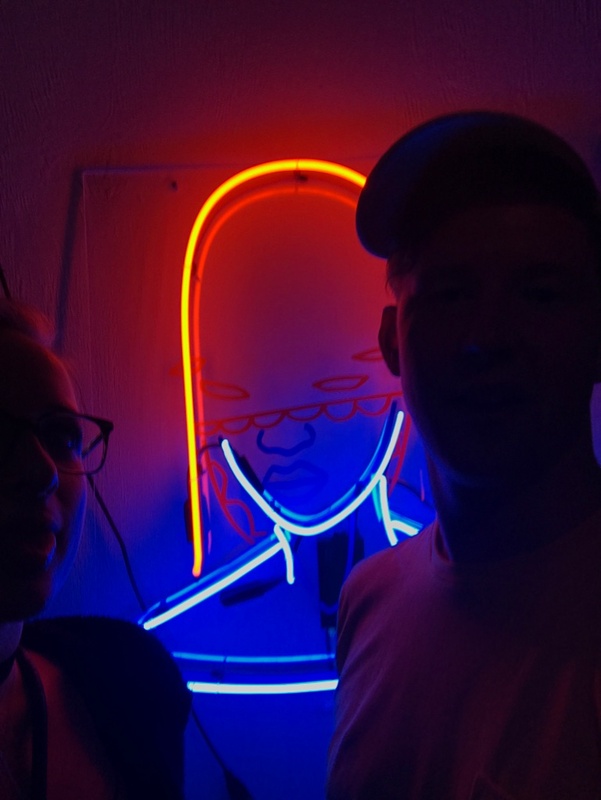 In Chicago, a city of neighborhoods, where sports teams are champions, the city works and neighbors are friendly, the neon is as much a street sign as any other. 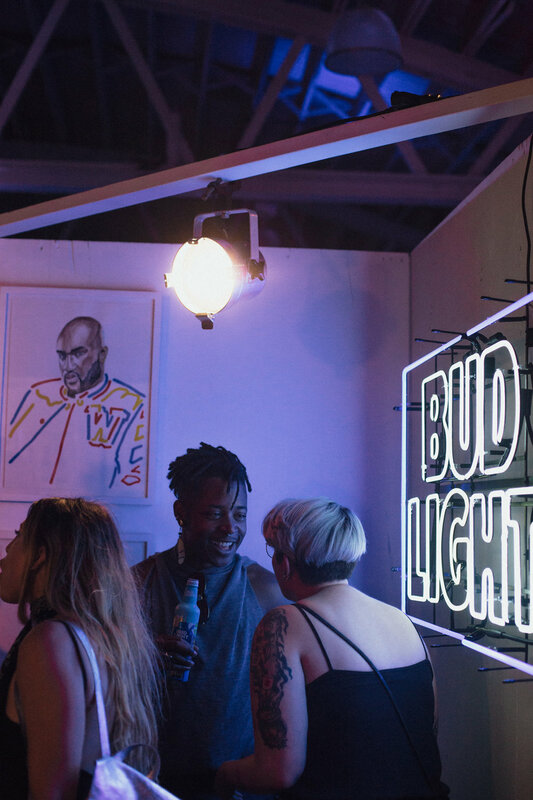 Brandon Breaux’ summer exhibit for Bud Light uses the inspiration of the classic beer brand beacon to share his lens on Chicago growing up in a city that is Famous Among Friends. 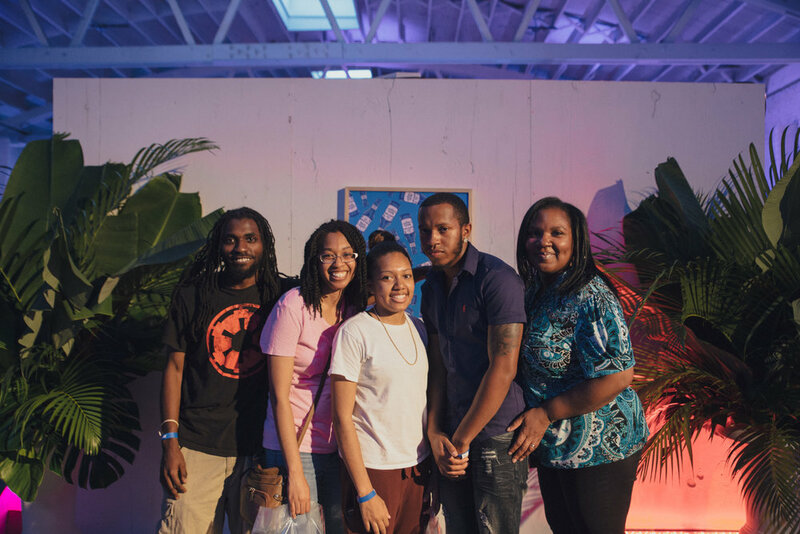 The event took place in Chicago's Pilsen neighborhood art district at the Glass Factory. 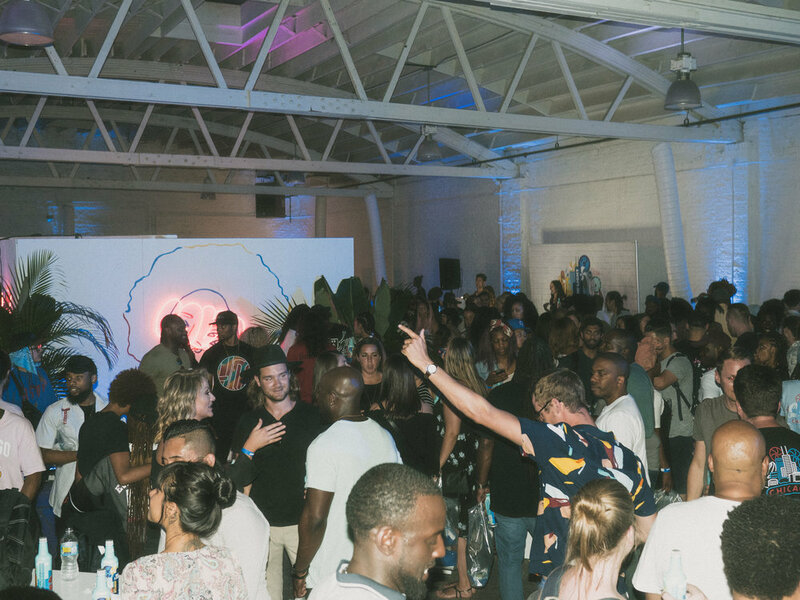 Guests were welcome to experience the art installation, sample the product and were gifted other items designed for the event which included custom glassware, enamel pins, t-shirts and posters all designed by the artist. Brandon decided to donate a portion of proceeds from a selected design to NAMI in order to support their efforts and speak to a cause about which he cares deeply. 50% of your purchase of the t-shirt and hat design will be donated to NAMI. Sign up with your email address to be notified of future events and gift shop updates.